I have a fun announcement to make today–along with a cover reveal! Last fall I had the opportunity to fill a spot in an anthology edited by Rhonda Parrish, who also published my story in Equus. This time I was given a spot in her most recent Alphabet Anthology, E is for Evil. 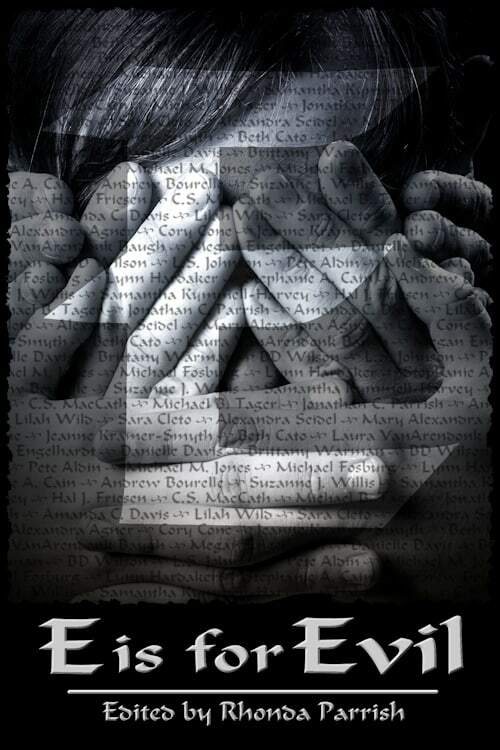 My story, “C is for” will be appearing in this anthology. Those who have read Shades of Circle City will recognize Murphy O’Hare, the character in my story. The story takes place after the events of Shades but it isn’t really necessary to have read the novel (though I hope you have!) to enjoy the story. And I agree with her. I love this cover! I’m joined in this anthology by 25 other fantastic authors and we’ve written one story for each letter of the alphabet, all inspired by the concept of evil. I can’t wait to see what you think of it! You can preorder E is for Evil on Amazon now and when it releases in May, it’ll show up on your e-reader! Add it to your Want-To-Read list on Goodreads too! And just as a reminder, members of my Cainiacs Advance Reader Team were given the opportunity to request an electronic copy of E is for Evil ahead of time in exchange for an honest review on Amazon and Goodreads. You can still sign up to be a Cainiac at this post! anthologies, Circle City Magic, E is for Evil, Murphy O'Hare, Rhonda Parrish, short stories. Bookmark. Join My Advance Release Team! This is such a cool cover! It’s so exciting to be apart of an anthology!